Since he arrived in Greenland at the age of 20 to go skiing, it has become his second home. 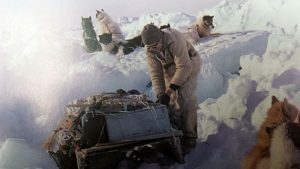 There he spent long winters learning the Inuit language and culture and on its ice ‘plateau’ he has already performed seven expeditions with skis and the WindSled. Part of the year is spent in the south, showing its beauty to travelers from all over the world. Greenland is his second home. ntarctica, the sixth continent, is the place of the absolute challenge for the human being on Earth. 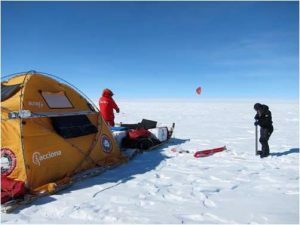 Almost all of its 14 million square kilometers are an immense desert of ice of which I have traveled more than 8,000 kilometers in three expeditions. 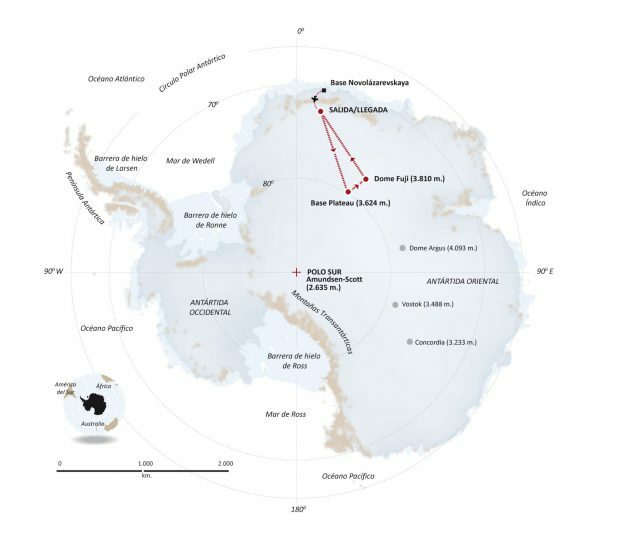 Larramendi and his team were the first to arrive at the Inaccessibility South Pole in 2005. They have also been to the Geographic South Pole twice. Nobody ever toured so much with a non-motorized vehicle, without any external support in the crossings. 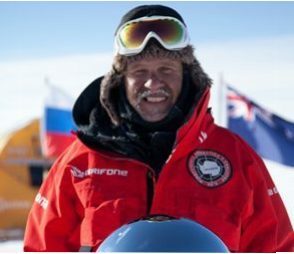 Larramendi is one of the few human beings who has been to the Geographic North Pole seven times. 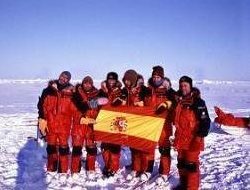 In the first one, he was part of the first Spanish team to reach the 90ºN coordinates, after a 66-day crossing from Siberia. It was an expedition organized with the spanish national television program “Al filo de lo Imposible” and they were the first to arrive in the history of Spain, in 1999. 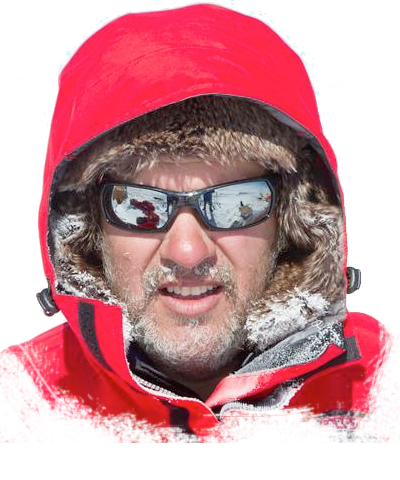 Ramón Larramendi was the promoter and protagonist of the expedition Circumpolar 1990-1993, a feat that no human being had made until then and has not been repeated. For three years, 14,000 kilometers, from Greenland to Alaska, crossing the entire Arctic, through the complicated Paso del Nororeste, using kayak, skis and dog sleds. He did not have external assistance. The adventures of exploration and the eagerness to beat records never before achieved by Ramón Larramendi go back to his adolescence. He was only 19 years old when he made the first crossing of the Pyrenees with skis, an adventure that was followed by many others over the years. I am attracted to discovering, exploring the unknown, entering the most mysterious and inaccessible regions of our planet and collaborating in its conservation. Feeling alive in the extreme cold. Knowing I am a privileged viewer of the beauty in the most hostile and unexplored corners of the Earth. Confronting adversities and overcoming the challenge. Surviving. Admiring, and at the same time observing those changes that are increasingly evident in the ice of the planet. Collaborating, inventing, creating initiatives that help science in the conservation of what is admired. Feeling that I am not indifferent to what I see in front of me, being always ready to go. All this and much more are the privileges that polar lands provide me. Tierras Polares is a travel and expedition agency, pioneer in Spain, created in 1999 by Ramón Larramendi to make travelers from all over the world aware of the fascinating beauty of polar regions. The explorer is always looking for new routes and wonders to show to those who travel with him. The project is based on a sled vehicle-convoy created by Ramón Larramendi, the only one in the world, which uses wind energy to move and transport scientific equipment through the interior of the Arctic and Antarctica, in an efficient and non-polluting manner. 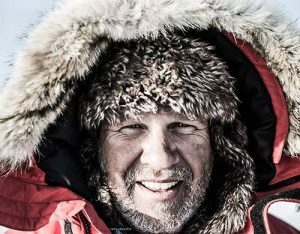 With it he has performed 8 expeditions and has traveled 18,000 km. Ramón Larramendi’s initiative to collaborate in the conservation and exploration of the Thule region (Greenland), with traditional Inuit expeditions. Its objective is to promote knowledge of Inuit ancestral culture and apply it to current research. It is in the development phase.